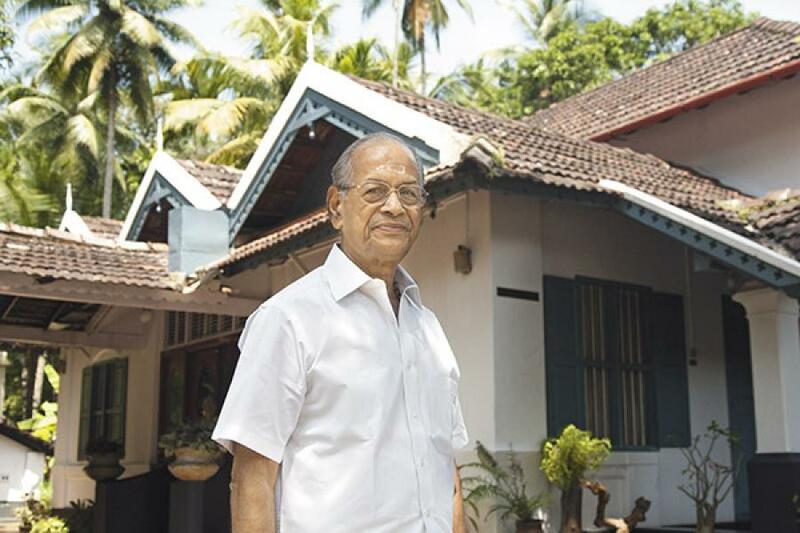 E. Sreedharan was born on 12 June 1932 Kerala in Palakkad district.His early education took place from Palakkad’s Basel Evangelical Mission Higher Secondary School. He studied college from the Victoria College in Palghat. Education of Civil Engineering from Government Engineering College Kakinada district of Andhra Pradesh. After completing engineering studies, Metro Man taught at ‘Government Polytechnic’ in Kozhikode. There he used to teach civil engineering subjects. After this he worked as a trainee in the Bombay Port Trust. In 1953, he passed the Indian Engineering Service (IES) examination and in December 1954 he was appointed as the Probationary Assistant Engineer in South Railway. Kolkata Metro: The responsibility of planning, design and implementation of the country’s first Metro Kolkata Metro was entrusted to them. In 1970, he laid the foundations of the country’s first metro in Kolkata. He was removed from the Kolkata metro rail project in 1975. 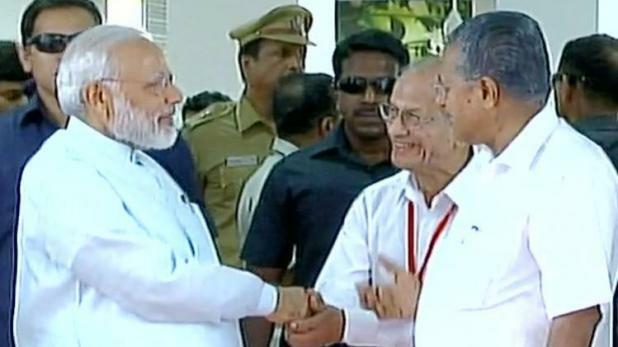 Cochin Shipyard: In October 1979, Sreedharan joined the Cochin Shipyard. The performance of the Cochin Shipyard was quite bad at that time which got the benefit of Metro Man’s experience, efficiency and discipline. E. Shridharan rejuvenated the Cochin Shipyard. In 1981, the first ship of the Cochin Shipyard was ‘MV Rani Padmini’ in which he had a big role. It is worth mentioning that the construction project of MV Rani Padmini was hanging in the Cochin Shipyard for a long time, which got momentum when E. Shridharan joined the Cochin Shipyard. Konkan Railway: In July 1987, he was made General Manager in Western Railway and in July 1989 a member of the Railway Board. He was about to retire in 1990 but he was appointed on contract for the post of Chief Managing Director of Konkan Railway. The Konkan Railway project created several records under his leadership. In 1997, he was made the Managing Director of Delhi Metro Rail Corporation (DMRC). His age was 64 years at that time. The then Chief Minister of Delhi Sahib Singh Verma had appointed him.After retiring from the Delhi Metro, he was appointed Chief Advisor to the Kochi Metro Rail and Lucknow Metro Rail. He has worked to advise the Jaipur Metro and he is also associated with other Metro Rail projects being created in the country. These include two proposed Metro projects of Andhra Pradesh-Visakhapatnam and Vijayawada. 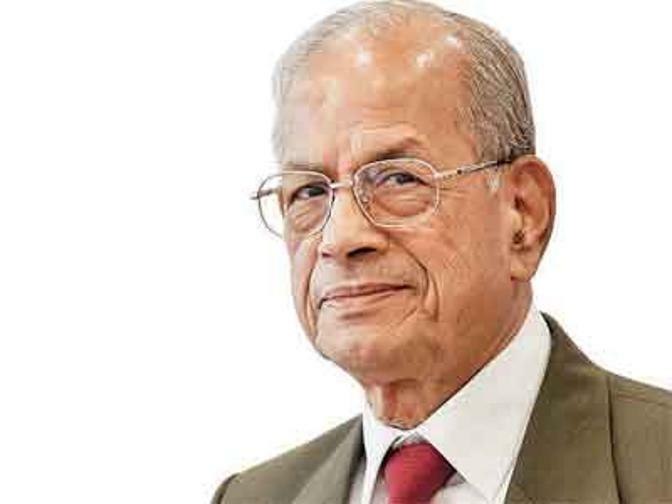 After the success of the Delhi Metro and the work that was developed by Sreedharan, there was a lot of discussion of his name and achievements in the media and he was given the informal title of ‘Metro Man’. E.Shridharan has been honored with many awards and honors for his achievements, in which some are important. 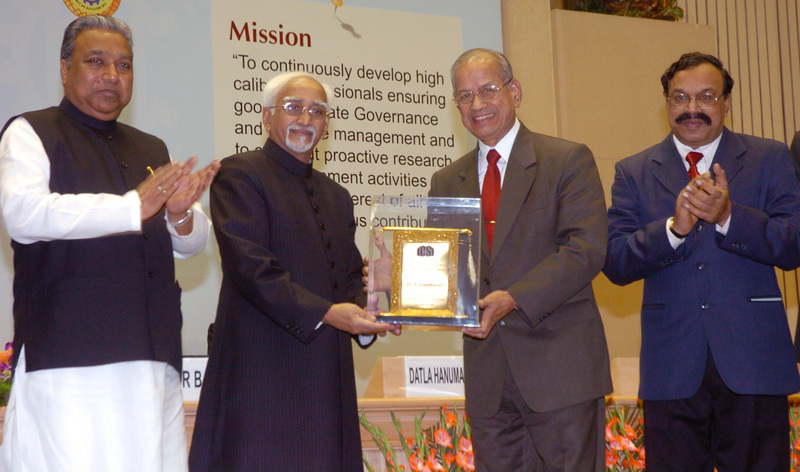 The Vice President, Shri Mohammad Hamid Ansari presenting the ICSI Corporate Governance Award to the Chairman of Metro, Mr. E. Sreedharan, organized by the Institute of Company Secretaries of India, in New Delhi on December 20, 2008. The Union Minister of Company Affairs, Shri Prem Chand Gupta is also seen in the picture. In 2005 the French government honored him with the Night of the Legion of Honor. In 2013, he got TKM 60 Plus Award for Lifetime Achievement, 2013. It’s a matter of year 1964. Due to a storm in Taminladu, the Pamban bridge that connects Rameshwaram with Tamil Nadu broke. Railway gave 6 months to repair and repair the bridge, but Sreedharan’s boss asked to complete this work in just three months and Sreedharan was assigned the task. Sreedharan surprised everyone by completing this work in just 46 days. He was given the ‘Railway Minister Award’ for this achievement. 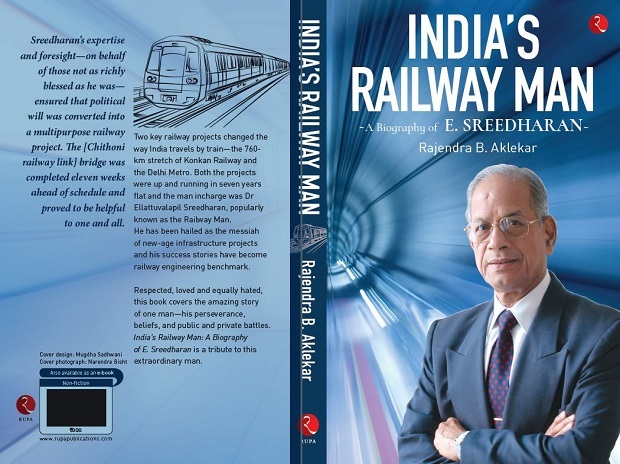 There are two books written on his biography, the first book titled as “India’s Railway Man – A Biography of E. Sreedharan” is written by Rajendra B. Akhlekar has worked with most of the news paper like Mumbai, Hindustan times, Mid-Day, The Sunday observer, and The Daily with having 21 year of experience. 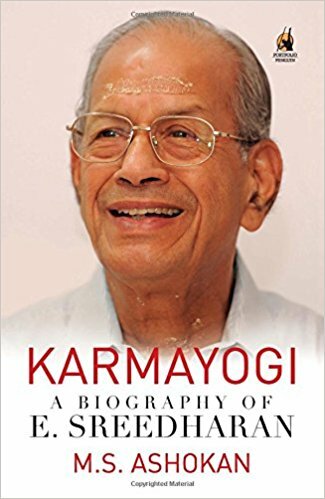 And the second book titled as “Karmyogi – A biography of E. Sreedharan”, written by M.S. Ashokan and published it on 24th December 2015 by portfolio. who is one of the known journalist of India having more than 20 years of experience who lived in Kochi.